Capt. 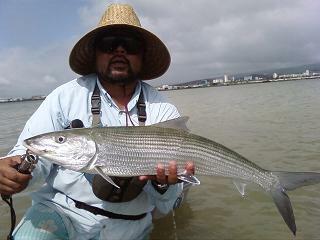 Mahalo Bobs Hawaiian Fishing Adventures specializing in Fly fishing & Light Tackle for Bonefish. Guided half day and Full day charters Come and experience World Class Bonefishing in Beautiful Hawaii. Experience Oahu's best sportfishing. Fish on the Foxy Lady in Haleiwa on Oahu's North Shore. 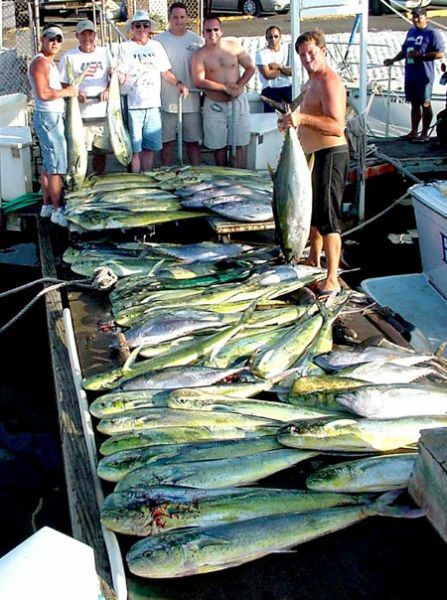 Year round fishing for Marlin, Tuna, Mahi Mahi (Dolphin) and Ono (Wahoo). Biggest and best boat in Haleiwa Harbor. Check out our catches online! Our 31 foot Bertram, "Big Ta Do", is a fishing machine. This classic sportfisher has a reputation around the world as a true performer. "Big Ta Do" is fully outfitted with Shimano Tiagra series reels, custom rods and all the gear you will need for a job well done. A classic strike boat, the 31 Bertram custom sportfisher provides a large fishing platform, equipped with a custom fighting chair, transforming the challenge of deep sea fishing into a manageable task for inexperienced and advanced anglers. HighNoon Sportfishing Deep Sea fishing in Kona, Hawaii on HighNoon is the perfect way to fish the beautiful Kona Coast of Hawaii. Beginners, Families, Kids and tournament anglers welcome. Watching a giant Blue Marlin inhale a short corner lure, then explode out of the water while screaming off hundreds of yards of line is the most exhilarating experience in big game sport fishing. Fishing the calm waters off Kona Hawaii is the perfect place to experience this kind of excitement! Contact Capt. Dee and reserve your Kona charter today. For some of the best deep sea fishing, Kauai, Hawaii is the place for you. Cruise Kauai’s magnificent coastline with Lahela Ocean Adventures and enjoy the thrill of catching large ahi, ono, aku or even pacific blue marlin. Crewed by a team of skilled and knowledgeable sports fishermen, our sportfishing charters take you on the blue Pacific Ocean aboard the 34-foot LAHELA - the only fishing boat certified by the Kauai Coast Guard in operation on Kauai today. In addition, LAHELA is the only boat inspected and approved to take up to 14 passengers.